Kingsdale Group manages property on behalf of private residential leaseholders. Our aim is that every development that we manage is attractively presented, well maintained and staffed by friendly, helpful and efficient people. We want each development that we manage to be a source of pride to those who live there. ﻿﻿∎﻿﻿﻿﻿ All those﻿ living on the retirement developments that we manage being well looked after, ﻿feeling﻿ secure and being able to live independently in the﻿ir o﻿wn home. ∎﻿ Our staff sharing our core standards and beliefs and we will invest in our staff to ensure that they develop their skills to meet the changing needs of our clients. ﻿∎﻿ The principle of ‘continuous improvement’ that involves everyone who works for the company acting upon a sense of common purpose and shared values. ∎ Conducting﻿ our business with openness and integrity and to high ethical standards. To operate and work as an independent company is one of Kingsdale’s great privileges. ∎ We are not beholden to any third parties for financial help or future business. ∎ We have no commercial links to any outside organisations. ∎ We have no inter-company relationships that restrict or compromise our choice of service provider. ∎ We make all decisions on our own terms, based on our judgement of what is best value for owners. ∎ We do not seek or accept any commissions on any contracts we place. This includes building and other insurance. Our management fee is our sole financial interest in a development. 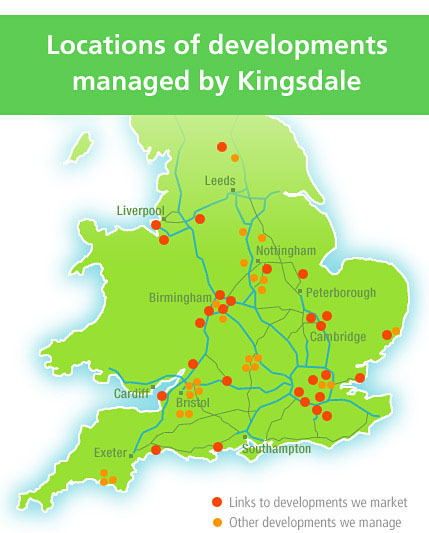 To have the financial independence to operate in this way enables us to work in the best interests of those for whom we provide a service and all developments managed by Kingsdale share in this advantage.